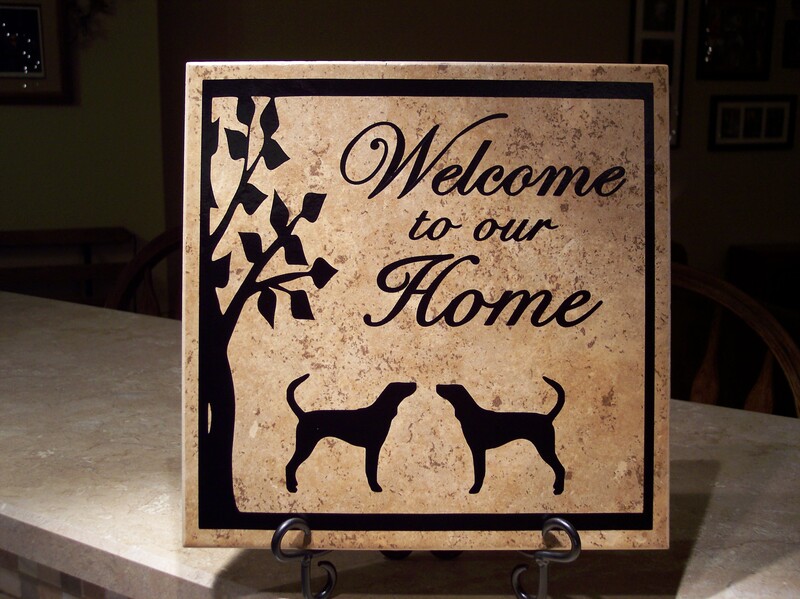 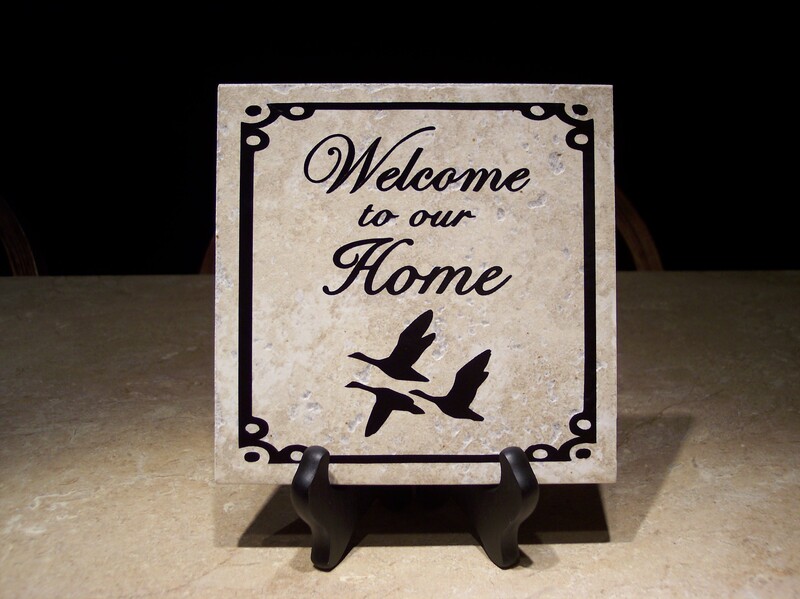 Left: 6″ tile – Welcome to our Home – $13. 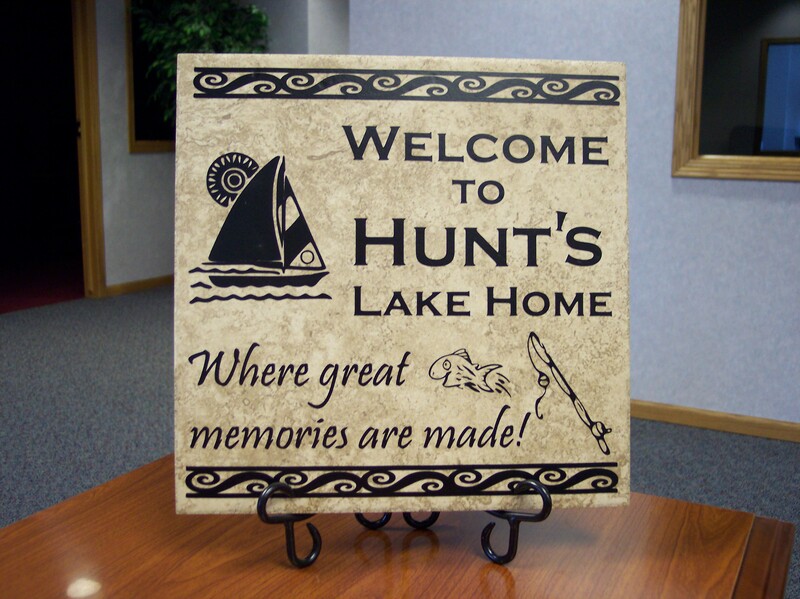 Center: 12″ tile – Home is where your story begins. 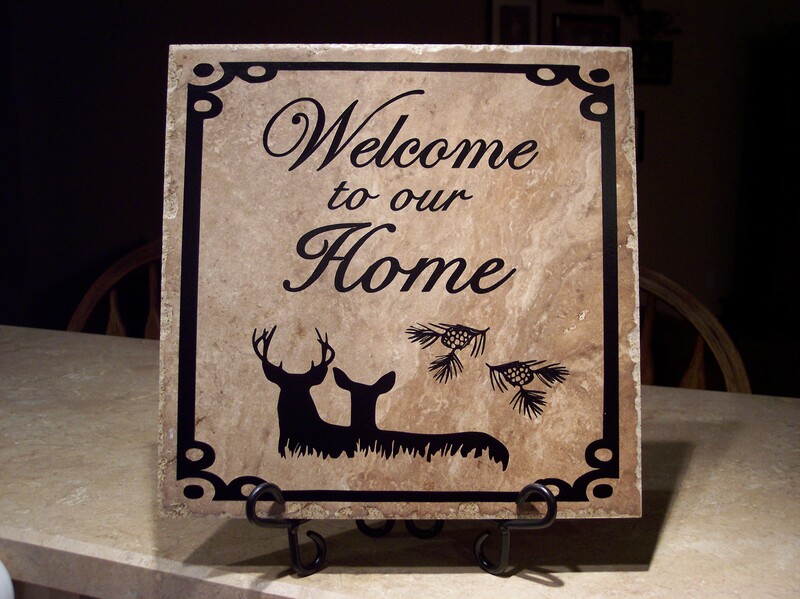 – $19. 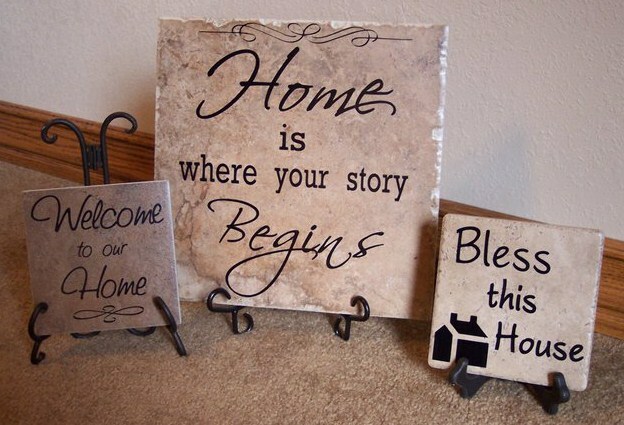 Right: 6″ tile – Bless this House – $13.